Superman comes face to face with his own mortality in “All-Star Superman”. It’s the norm for us to discard things that may have at one time held some importance to us. This is done in favor of something new because new is often mistaken for improved, while old is often mistaken for useless, rickety, or outright broken. Sure, sometimes new is also improved. But not always. We discard the old for the new because it can be too difficult to find the value in something which, on the surface at least, is no longer the pristine thing it once was. Grant Morrison, Frank Quitely, and Jamie Grant have brought plenty of polish and dust rags to one of the oldest relics of the comic book medium: Superman. Taking great care to preserve the past, Superman has been meticulously dusted off. Much of what captured the imagination of his Golden and Silver Age readership has been kept intact. The result of the storyteller’s efforts is a timeless collection of adventures that instill the goofiest concepts from the Man of Steel’s long history and embraces all of them affectionately. “All-Star Superman” proudly carries the works of Jerry Siegel, Joe Shuster, Curt Swan, and Mort Weisinger on its shoulders to tell the ultimate story of the Last Son of Krypton. After Superman saves a spacecraft from being engulfed by the sun thanks to the evil machinations of Lex Luthor, the Man of Steel absorbs a lethal amount of the sun’s energy. At long last, Luthor appears to have finally beaten his nemesis. With his time on Earth limited, Superman attempts to put as much right as possible, starting with his longstanding relationship with girlfriend Lois Lane. Chapter by chapter, Morrison and Quitely present Superman’s final adventures in a series of standalone stories featuring much the hero’s supporting cast of characters and super-villains. Each chapter of “All-Star Superman” is deceptively simple, yet filled with Morrison’s signature far-out sci-fi and Quitely’s endlessly enjoyable artwork. Morrison doesn’t overstuff the book by parading his stories with every character in the Superman mythos. Everything contained in “All-Star Superman” fits in because it belongs and not because it was shoehorned in. Of course there are the members of Superman’s supporting cast, like Lois, Jimmy Olsen, Steve Lombard, Cat Grant, and Perry White. There’s also room for his villains: Lex Luthor, the Parasite, and Bizzaro. The book’s creators take us on an entertaining and gloriously imaginative trip through famous Superman destinations such as the Fortress of Solitude, Bizzaro World, the bottled city of Kandor, and beyond. Morrison and Quitely bring much of their own Golden and Silver Age-inspired creations to this book and they seamlessly mesh with the classic institutions. Superman says farewell to his adopted father. Quitley uses what has been established in decades of Superman books for his foundation, but the artist incorporates a modern style meshed with a 1950’s sci-fi sensibility for many of his original creations for “All-Star Superman”. What we end up with is a timeless work by one of the most imaginative artists working in comics today. The book is crammed with extraordinary imagery: Superman flying just beneath the fury of a blazing sun, Lois Lane being kissed passionately by her love on the surface of the moon, and the Man of Steel hunched over the gravestone of his father shortly after his death. Quitely’s precise work on “All-Star Superman” is without flaw. He refuses to clutter his panels with unnecessary details, yet all of his artwork is exceptionally detailed. Superman’s classic costume receives some minor tweaks by Quitely. His trunks fit more like short shorts than a bikini and a shortened cape that always comes down across the Man of Steel’s broad shoulders. Quitely’s Lois Lane is a striking woman who understandably could attract titans such as Samson and Atlas, let alone Superman. The artist has transformed the Parasite into a disturbing creature that now resembles the villain’s namesake and Bizarro’s visage is more zombie-like than the angular features of his Silver-Age counterpart. Lex Luthor is most recognizable, though the villain had packed on more muscle that readers might be accustomed to seeing on the greatest criminal mind of our time. Lex, as Morrison writes him, puts as much effort into his physical build as he does his mental capacity. Quitely’s finest character designs come in the form of Bar-El and Lilo, two Kryptonians eyeing to turn Earth into a new version of their home planet. The man and wife are covered from head to toe in yellow and purple Kryptionian uniforms, metal gadgetry protrudes from the top of their heads down the back of their necks. Morrison’s Superman stories are extraordinary. The hero glides from adventure to adventure, each one as fantastic as anything that might have been told during the 1950s. Superman grants Lois Lane superpowers and they fight off Dinosaur Men from the Earth’s Core, Superman faces off against Kryptonians bent on reshaping the Earth, and Superman is stuck on Bizarro World as it plummets into the Underverse. There’s nothing tongue-in-cheek about Morrison’s approach to the material. The writer takes things seriously and we’re just allowed to have fun as Superman makes his way through his multiple fantastic escapades. The story is balanced by the underlying fact that Superman is dying and he struggles to put as much right in the world as he is able before his time is up. Both as Clark and Superman, he pleads with Lex to rehabilitate. “Lex, I know you’re not all bad,” Clark observes of his alter ego’s arch-nemesis. Clark knows that Lex has sentenced him to death, yet he still remains hopeful that Lex can turn over a new leaf. Now that’s optimism and, truthfully, that’s Superman. Heartbreaking and lovely, Superman and Lois share a final kiss. Though this is a book that ultimately telling the story of Superman’s demise, the book isn’t maudlin. Not at all. Morrison and Quitely bring genuine heart to their tale, especially in scenes involving Lois and his adopted father, Jonathan Kent. Lois and Superman embrace one final time before Superman must save mankind and the scene is utterly heartbreaking. We return to the day Jonathan Kent died and Clark delivers a touching eulogy that also works to define the core of Superman. There are also subtler moments, such as Superman standing in front of his Mirror of Truth and staring down silently at the glasses of Clark Kent. It’s as though he’s reflecting on what his façade has done to him and Lois for all of these years. The true magic of “All-Star Superman” is Morrison’s spot on take on the Man of Steel. He uses everything in his power to make the world a better place, whether he’s saving a boy running in front of a truck or curing the children in a cancer ward. From the opening chapter, Superman declares “there’s always a way” and he follows that simple yet powerful credo until his final heroic act. Superman inspires the world he protects and that comes across with his every action. 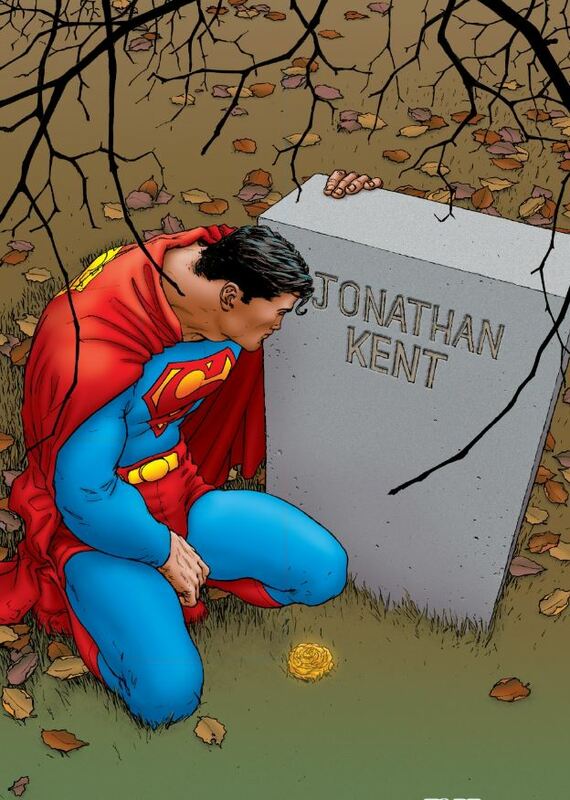 After all, as Clark says at Johnathan Kent’s funeral: “He taught me that the measure of a man lies not in what he says but what he does.” Let your other heroes waver, Morrison’s Man of Steel has an unbreakable moral compass (okay, unless there’s black kryptonite around). 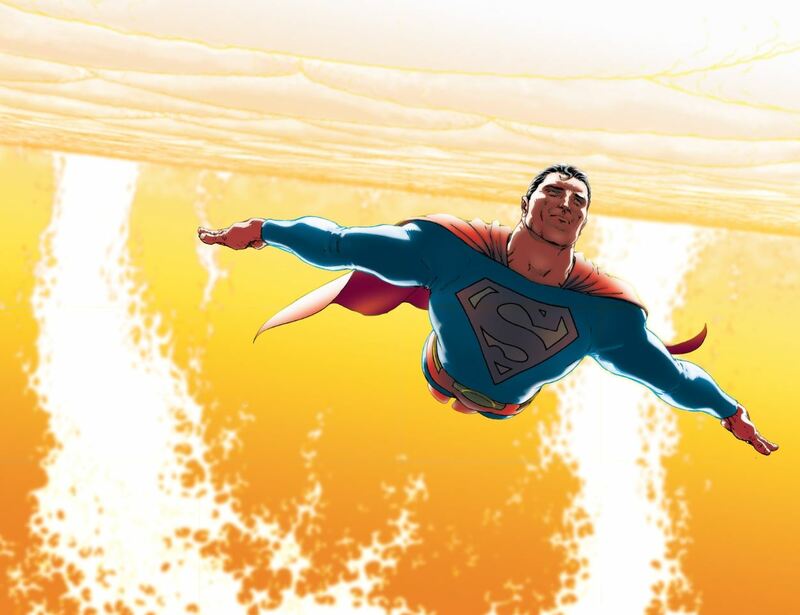 “All-Star Superman” is a stunning achievement in that Morrison and Quitely took a version of Superman off the shelf that most creators wouldn’t touch and, with a little bit of spit-shining, they created something magnificent. Indeed they’ve proven there’s always a way.